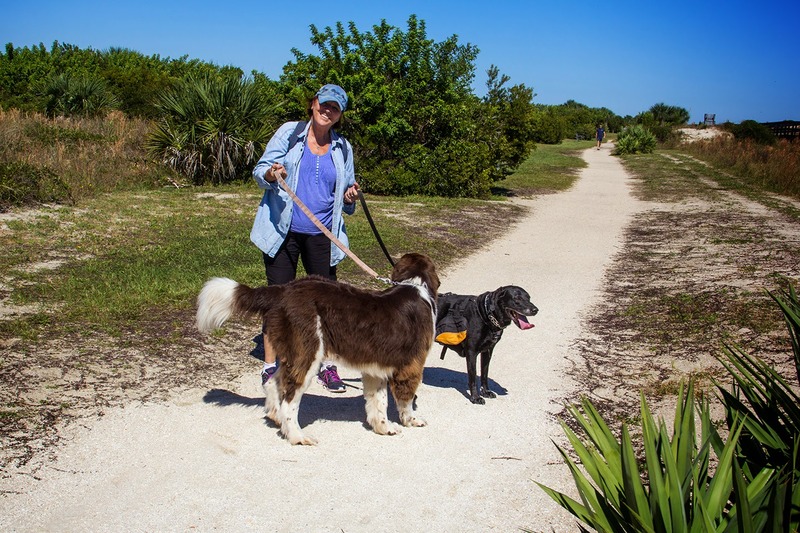 Today we actually got to go to the park in Smyrna Beach for dogs, There are so many trails just for them and in the parking lot you can find the area by looking for the paw prints. This is moi and Lola Bear and Sammy. There are access trails to the beach which of course, we took. We use a 25ft lead for them at public places when they swim..me running like a mad woman after one down a beach isn't quite my thing. They seem to forget the command "COME" sometimes when we are outside and the smells are deliciously new! This is Ozzie and Roger. The day was cool to us but still hot to a black dog and a furry Newf. Sammy actually sat in the shade at one point. Poor guy. That was the decision to go back. It's about them at all times. At the beginning/end of the trail they have water for the dogs and a hose to wash the kids off after being at the beach. They got that treatment then into the car. And, yes, they slept the whole way home. In awhile I head about 20 minutes south of here to my grandsons. I am hanging with him tonight as his Mum went to Mississippi to visit family. Logan wanted to stay home. Yeah, Grammy on duty!! 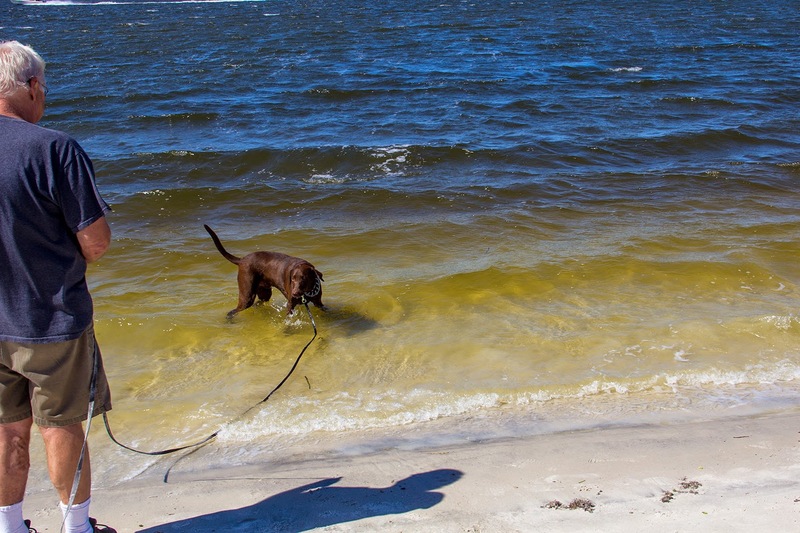 So, if you are ever in this area and have your fur friends, consider Smyrna Dunes. White sand, beautiful breezes and dog friendly. The cost is $5.00. Worth it! !